Deer fell into the water at National Zoo Nov 8th, 2009. 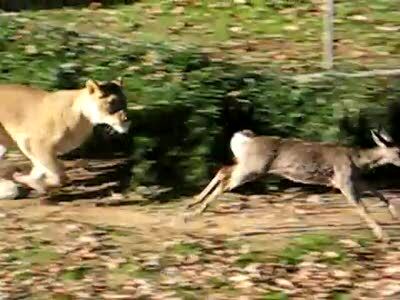 Deer escaped from the Lions three times before zoo handlers removed the lions to rescue the deer. Two lions attacked by crocodile!